This period was a tumultuous time between tribal groups as iwi sought to protect rights and interests in specific areas identified for settlement. 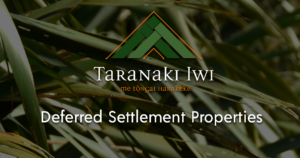 During the negotiations for the Ōmata Block claims of ownership over Mount Taranaki, Pouākai and Kaitake ranges were also mounted by groups of Āti Awa willing to sell to the Crown, this came to a head when, Taranaki iwi rangatira Tāmati Wiremu Te Ngāhuru and Kerapa Te Whakahawe led a delegation of learned men to a hui at Pukeariki (Mount Elliot) to present their case. 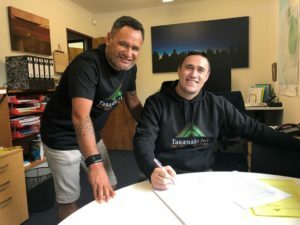 Crown land purchase officers Donald McLean and George Cooper were convinced that Taranaki iwi owned the mountains right up to the adjacent country opposite Paritūtū. Tamati Wiremu Te Ngāhuru also called hui at Poutoko and Whitiora kāinga to confirm the outcomes of this hui and a large hīkoi of 300 people went up onto the mountain in 1850-1851 to erect carved tawa poles to mark important Taranaki iwi sites. A group of 60 men also occupied Karakatonga pā, on the Waiwhakaiho River catchment for several months. A series of ngeri were also composed confirming their stance. As the glint of guns was observed and the motives of the Crown became clearer, rigorous debate and dialogue ensued and policy agreements between Taranaki iwi took the form of oaths sworn and sanctified by ceremony. During this time, Taranaki iwi rallied under their leadership to secure similar policies with rangatira from other parts of Taranaki and Whanganui, particularly in the 1854 meeting at Manawapou where land from Ōkurukuru (the southern boundary of the Ōmata Block near New Plymouth) in the north and Taipake (near Kaiiwi) in the south was made tapu and that those who sold land would be punished. 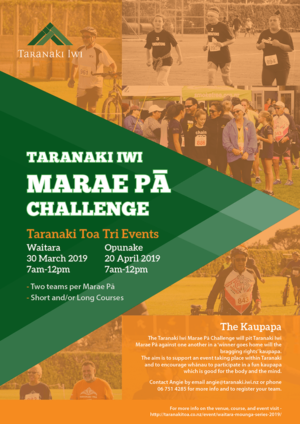 The policies sworn at these meetings were known as Kumea mai te waka and Taiporohēnui, with the binding oath of “te tangata tōmua, te whenua tōmuri” (man first: land after/ or by the death of men, will the land be taken). Some Ngāti Awa (Te Āti Awa) hapū soon followed, under Wiremu Kīngi Te Rangitaake, placing their line at Waitaha (near Bell Block) and stating that land beyond this point to the north was not available for settlement. Instead it would be retained under the policies and oaths sworn in previous meetings. Ka whakaoatitia ki te atua. Ka herea te whenua, ka herea te tangata.